If you want to kick start a classified website you are at the perfect place; we have implemented our feature rich OLX clone. 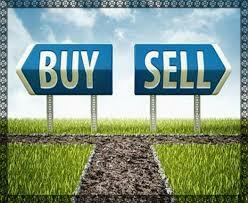 Our OLX script helps you to buy and sell products through online marketing. If you want to buy a product like gadgets you can check in with your site and proceed for it if it was available or if you want to sell a product you can post an ad for the product and proceed. You can display advertisements for your products, based on your categories the products are placed in their respective manner. You can create ads with the needed pictures for the products to be sold. Classified sites have a bright future as more and more people in India are using internet to search for products and services locally. Classifieds was already a huge market before internet came to the forefront. But the medium was restricted to print media and it proved to be a hassle for users. Buying used goods such as furniture, musical instruments, sporting goods, auto-mobiles, baby items, mobile phones, property and much more have now become a walk in the park due to emergence of online classified platforms. In an age of internet ascendancy, classified websites online are in huge demand and none more so than the OLX classifieds script. This highly advanced PHP-based software script is a program of the OLX.com website where one can buy and sell products online at no extra or hidden cost. Developed with 100 percent open source code, this software allows the buyer to avail quality features such as adding or deleting of any number of categories and sub-categories according to preferences, flexible admin control, advanced search facilities etc. Attracting and controlling a large section of the web traffic becomes easy when the buyer installs the OLX script to insert and edit online classified advertisements and list them on the website and get sure and prompt results.OLX classified script is fully customizable PHP classified scripts that can help to erect a professional classified portal. It’s a search engine friendly product and easily manageable through an easy to use admin panel. Marketplace software like OLX classified script provides trouble-free way outs to the difficulties involved in selling, buying, trading discussing, organizing and meeting people near you.Our OLX classified script marketplace software is advanced PHP script with high quality, powerful and rich features that are easy to use. This product can help a business owner to create his own classified website and generate real income. This particular marketplace software has been professionally developed to provide turnkey solutions. It is unique because of its distinctive features such as SEO friendly URLs, user management system, free addons and mobile aps. All these characteristics have made our script the best choice. The fact that platforms like OLX and Quikr are garnering thousands of monthly active users have made business analysts at FATbit study the website features, functionality and revenue model of such platforms. During our research, we discovered many areas that can help entrepreneurs launch advanced online classified clone. But before proceeding to features and suggestions, let’s first understand the business model and revenue generation method of such websites. As discussed earlier, you can incorporate a favorites feature in your website that allows users to bookmark products. This feature can be used to save classified listings to wish list. All the listings marked as favorite appear in this section. Any ad can be added to the favorite list. These ads get listed under the favorite tab. Favorite list can be accessed from the “Account” drop down. Being an online marketplace driven by search, you can adopt a unique approach by providing a dedicated page of popular searches. This page should house all the popular search which can be sorted based on city as well as category.